Beautiful & relaxing double lake views with Florida’s most desirable southern exposure give an abundance of light and openness to 80 E Dunbar Road in Marlwood Estates at PGA National. The floorplan is spacious and the high ceilings, size of rooms, and strategic use of skylights lend a bright and comfortable feeling to this warm home. A remodeled open kitchen has fabulous views along with updated Corian countertops, stylish mosaic backsplash, and all newer appliances. The master suite is spacious and split from the rest of the home. The southern 2nd bedroom has sensational lake views and is the perfect VIP suite for your guests. The dining room was converted into a den for the owner’s use but can easily be turned back into a formal dining room. The Roof a/c’s and water heater have all been replaced. Hurricane fabric was also installed. 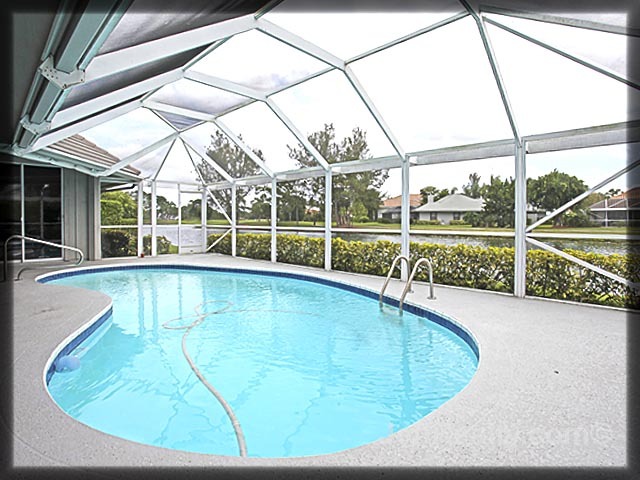 Outdoor living is wonderful with a spacious screened pool/lanai and cabana bath. The HOA for Marlwood Estates is only $800 year! 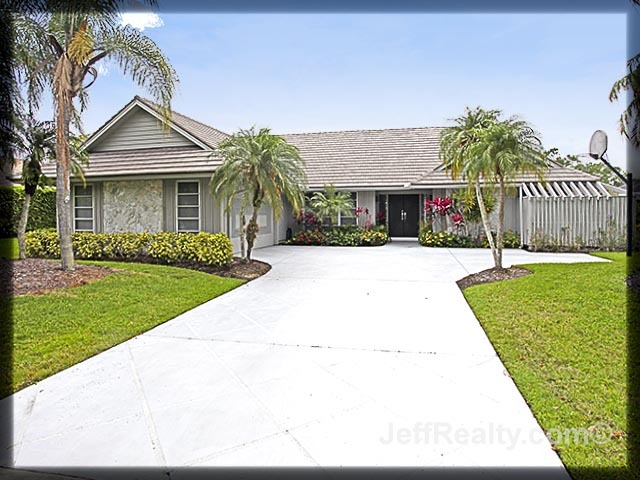 Posted in PGA National, PGA National homes, PGA National homes for sale on May 20, 2012 at 5:19 am.